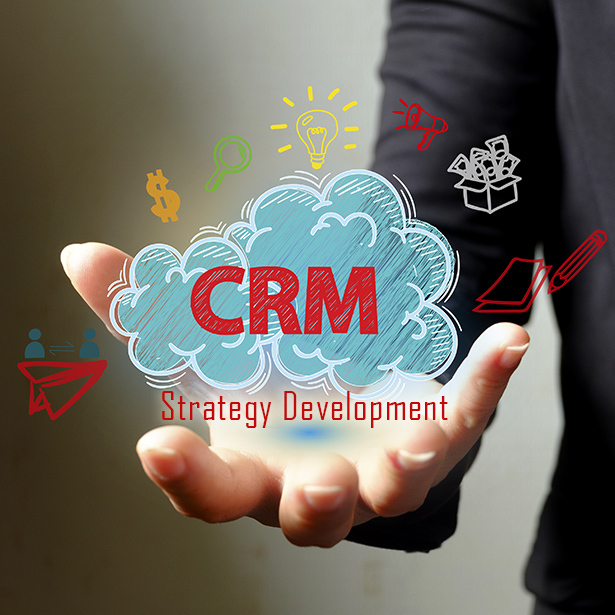 A CRM strategy majorly focuses on Business Strategy and Customer Strategy. For an organization, it is important to realize where it stands in the industry, and where it intends to reach in the next 5 years or so. Central to this will be making decisions about customer choice and characteristics, and segment granularity. That also includes the knowledge of how feasible one-on-one or individualized approach to a customer is for the firm, looking from a cost point of view. Both, the present and the future situations, need to be evaluated to make this decision. Here, the firm has information only about the transactions and some basic details related to it, and they can conduct some variability tests to determine channel productivity. For instance, there may be a customer mailing list, but there is probably little or no detailed information on individual customers. One great example of Product based selling is a retailer that has not yet developed a royalty-based program for its frequent customers. Although they have lots of data about individual transactions, they are unable to connect sales back to the customers. Many retails have outsourced their billing and credit card services to third parties, due to which, they do not have enough information to predict sales flow and stock levels appropriately. Organizations are increasingly finding that power in the supply chain is held by the organization that has the ownership of customer information. Most companies tend to upgrade from product-based selling to managed services and support as their first extension of CRM by setting up a call centre or helpdesk. Here the objective is to identify the most important customer and build strategies to retain them. A nice example is Utility companies, where customer service staff has basic customer data – such as name, address, phone number, and the most frequently called numbers. They deal with individuals by making calls and they can tailor individual services to customers on a person-to-person basis. The focus has shifted to constant value creation for the clients to effectively retain them. Using the existing investment to develop products and services will lead to lower customer acquisition cost and high revenue. It also involves great intangible benefits. By interacting more with clients, one gets to know other requirements of clients, which is not possible in transactional marketing. 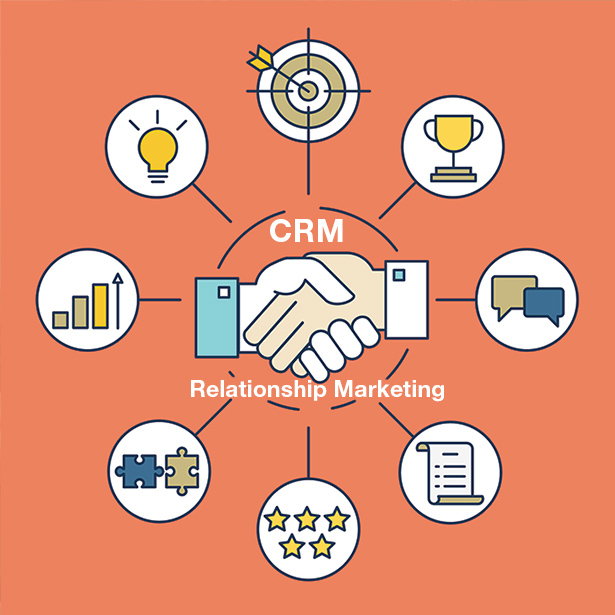 One of the primary benefits of a CRM is that it identifies the most profitable customers who can be retained by building strong relationships. It is easier to sell to someone who has already bought something. One aspect any firm looks seeks is revenue stream that can be generated over a customer’s lifetime. If customers are viewed as business assets, then the company will focus on growing business opportunities even more. CRM requires substantial IT infrastructure investment that has to be justified by cost savings and profitability. Many organizations are turning to CRM, because, instead of focusing on internal inefficiencies like back-office processes related to manufacturing and finance, CRM focuses on improving external efficiencies like sales and marketing. 2. Applications that enable value-adding interactions with customers, often across different channels, in order to meet their needs. By utilizing IT to listen to customers, firms can identify their requirements better and gain a better revenue share. CRM helps manage each contact based on what their future value. It helps companies focus on vital clients and manage their relationships effectively to earn more. Lots of add-on features make managing these contacts easier and more effective. CRM can be seen as a business strategy coupled with the power of technology to smartly manage the complete customer life cycle. Building stable and long-term relationships with key contacts and accounts is one of the primary objectives of the senior management. CRMM helps them achieve it by segregating accounts and contacts based on their current and future values. The key question, “What does each customer want,” is answered by CRM with the help of analytics and dashboards. The analysis forms a key ingredient on the approach that is taken for each individual client. In that sense, CRM is the bridge that fills the gap between key contacts and the management. Small businesses are the reflection of the community they operate in. They provide niche products and solutions to their customers and every organization strives for a relationship with its customers. But knowledge of the all-important attitudes, behaviors and favorites is what lets businesses flourish. A little better knowledge about customers always proves fruitful. Customer retention is now so technology-driven that new platforms and profit drivers are empowered with additional features on a daily basis. Sometimes, a niche business owner must reflect on the gap between itself and adopters of the latest technologies, especially ones which drive efficiency and cost benefits through customizations. Inching closer to the ideal business workflow, industries are dependent on the fast evolving CRM landscape. But it will take integration with social media, finance bureaus, and other relevant data sources to cross competitive barriers. A sufficiently large database is already on cloud, and so the latest breed of application-driven customer-management systems mainly need to focus on data scrutiny, cleansing, analytics, insights, and really ingenious user interfaces. Small & Medium Businesses can reap a lot of benefits from CRM software—benefits that they will miss out without such technology. Giving insights: Throw a few quick questions How many leads did you get last month? How many of them were through the web media? How much do you spend for lead generation? Where do the most sales come from? Staying organized: CRMs help quickly create and assign tasks, and monitor progress. Even emails can be converted to tasks and you’ll get timely alerts. This becomes handy especially while multitasking. Clean and segmented mailing lists: When you need to send out emails to specific group of clients or when you want to run campaigns how soon can you assemble a mailing list? One week or ten days? You badly need a CRM, for it does the job in minutes. Think, how many more campaigns you can do with the resources you use up for a single campaign. Much more for much less: If you ask ‘Why CRM?’ the answer could be ‘Why Not?’. That’s how nimble and affordable CRM solutions have become these days, thanks to SaaS (cloud technology). No installation hassles, no hefty license fees. Quick installation, light subscription charges. Small business owners across the world depend on personal connections with their customers. The line between customers and prospects is almost nonexistent. But as business expands, it becomes difficult to maintain that personal relationship with every customer. But it is extremely detrimental for an expanding SME to cut bond with their customers. A personalized Christmas card often proves more important to customer loyalty than we imagine. 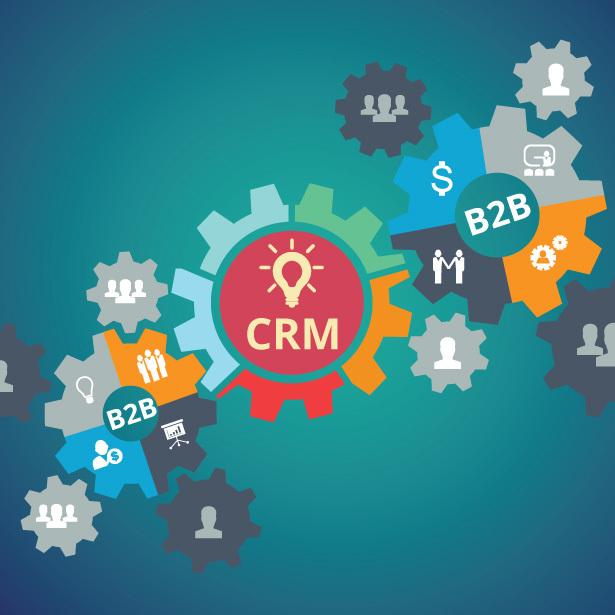 Therefore, small and medium business units need CRM solutions to help manage business expansion and customer connections. A CRM system that is customized to your business needs is the next important step for your growing business. It would enable a centralized database about your customers, a great leap forward from a paper-intensive coordination. But small businesses should know that CRM should not function as an island, it should be integrated and accessed across departments. The application should allow easy import of data to ensure seamless transition to the new technology. Your spreadsheet-dependent customer database can never meet a growing client base. With a competent CRM application, there is greater visibility of the client base. For example the software can reveal that 80% of your customers watch a particular soap opera or subscribe to a particular print journal and for what reasons. This can help you fine tune your marketing strategy with a solid control of the budget. As a financial advisor, it is important to keep track of the sales-cycle spend. If your business needs to judge how loyalty and new-customer strategies are affecting the costs, you need to measure the efficiency against your ROI targets. A CRM will help measure it through ratios and actual figures. Your marketing and sales strategy can easily be based on actual real-time data if you have a transformation budget. But the investment will help develop a defined buyer persona and segment customers effectively. This information adds value to develop niche marketing campaigns and meet individual customer needs frugally. You CRM system is not only about better customer service. It is a repository of real-time data, which reflects your market’s potential. This can help you know where to add value to be a differentiator in the market. Do B2B Transactions Need CRMs? Businesses to business (B2B) transactions bring different complexities and challenges and require a focused Customer Relationship Management approach. B2B transactions, although a smaller sphere, can benefit a great deal from customer databases in CRM systems. It brings about an understanding between customers and supply chains at the granular level. Minute changes can be identified easily by tracking end-customer and data. With a smaller customer base, it is important to go for micro-segmentation and know every individual in the system. How B2B differs from B2C? There are many unique differences between B2B and B2C transactions. B2B sale is much slower and may take months and months of negotiations. The number of decision makers in the B2B pipeline is much larger with many CxOs trying to make an impact. This makes the buying and selling process more complicated and passion in the process gets severely diminished. In a B2B pipeline there is no scope of emotional advertising and the stakeholders involved are more concerned about facts and data. B2B leads are much smaller, but the value of each sale can be much higher compared to a B2C transaction. With high values hinging on every individual customer, it is important to deliver high visibility through an effective CRM solution. B2B transactions are extremely valuable and cannot be stored in siloes within multiple spreadsheets in different departments. A centralized database is essential for seamless access and retrieval of information through role based access controls. A CRM module organizes information and merges multiple formats into charts, synopses, and illustrations showing what each company should do. Every employee, be it a salesperson or an accountant, may have data at their fingertips to be decision makers. As for the cost factor, agile CRM service has made the past decade a period of affordability defeating other frameworks. B2B transactions do not have a large field of customers to play with. Customers demand faster and quicker resolutions for their problems. With customized CRM solutions, escalation along the hierarchy is limited with information easily available by the front-end employees. This promotes business efficiency, better workflows, and better customer interaction. When technology widens a scope, not utilizing it can prove dangerous in competitive industries. With large data turnovers in BPO consulting and BI, paper systems can get overwhelming enough to drain employees out. With CRM solutions, it is possible to create an organizational culture where information is easily shared across departments and a knowledge base is created to purify analyses. Fundamentally, stakeholders can receive the best returns only thus. 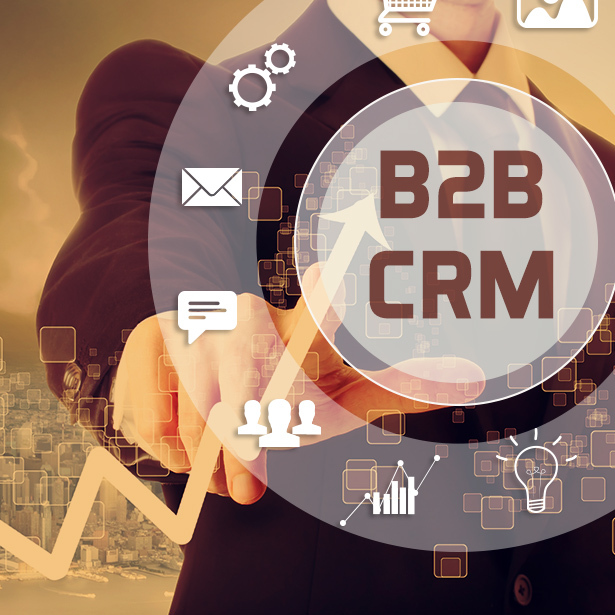 For many B2B organizations, CRM is just a database which hardly finds a mention. CRM helps to reach out to influencers and decision makers with targeted messages. The B2C space has been focused on using CRM data to improve market knowledge and effectively forecast customer behavior. While the information becomes a gold mine, missing out details about B2B customers can prove damaging to customer retention. Be it cloud or premise CRM, it proves to be a ‘friend in need’ in the information age. CRM databases capture a wide variety of customer information like online activity, call details, buying habits, attitudes, behavioral patterns, volumes, value, turnovers, etc. Organizations can leverage such BI to deliver niche targeted messages and products at every stage of the marketing funnel that can facilitate the buying behavior and satisfaction. With innate knowledge about customer activities, a seamless experience for every individual customer is plausible while using predictive models. Data of immense value is not locked away in spreadsheets or paper files. 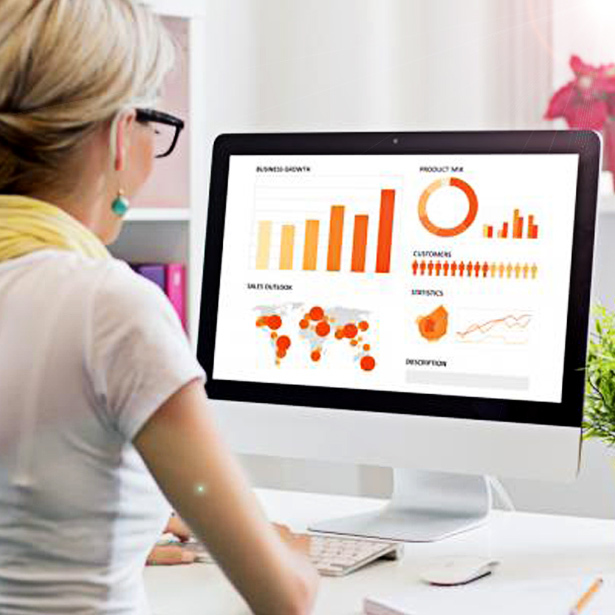 The sales, customer, supply chain, and multitude of information can be effectively displayed on reporting dashboards that can help understand information and enhance the decision-making capabilities of the user. Better technology can help if there is a prevailing consensus for a transformation from descriptive to predictive. CRM modules help in effective reporting and identify behaviors and patters that are prevalent in the market. The availability of real-time information empowers decision makers to undertake corrective actions without compromising the organizational or brand integrity. CRM modules should be time tested before they are relied on fully. However, the shift towards new outcomes becomes and noticeable within weeks. Data is never locked away in silos, but shared across the organization with role-based access controls. Every department may have equal access to all the information with proper authorization. This helps in taking the client relationship to the next level with consistent engagement and solution centricity. It also creates a knowledge repository for the organization to meet business goals. 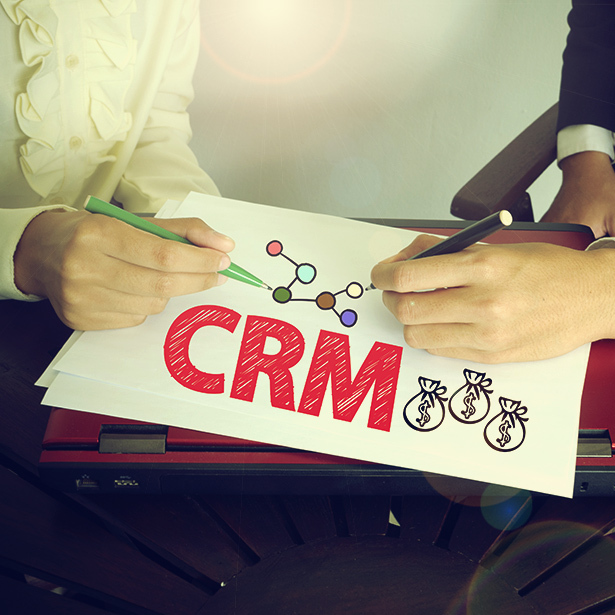 B2B organizations are much more vulnerable if effective CRM solutions are not implemented. The customer relationships need to be monitored and taken to a molecular level so that every aspect is effectively valued as a profit center.